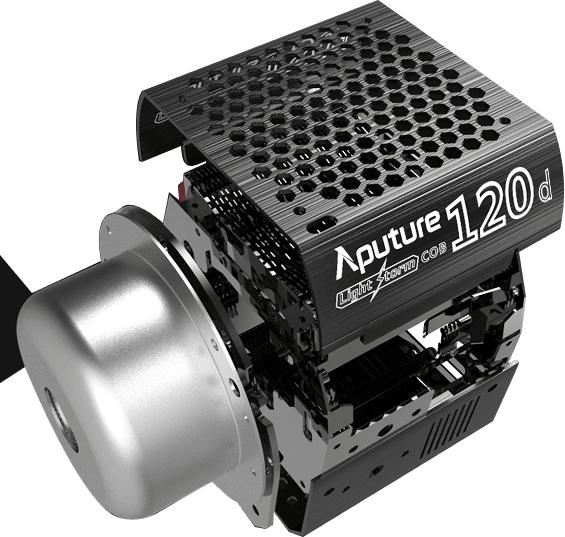 The Light Storm COB120 is the first Chip-On-Board design of the Aputure Light Storm series. 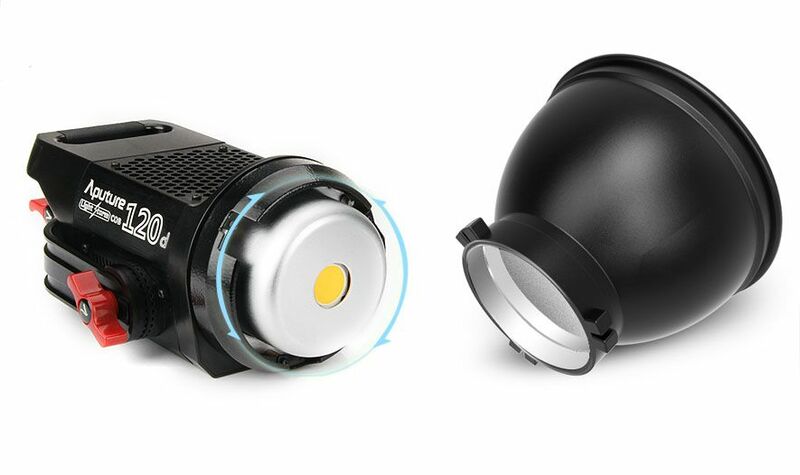 It features two models with two different color-temperatures: the LS C120t (3000K) and the LS C120d (6000K). 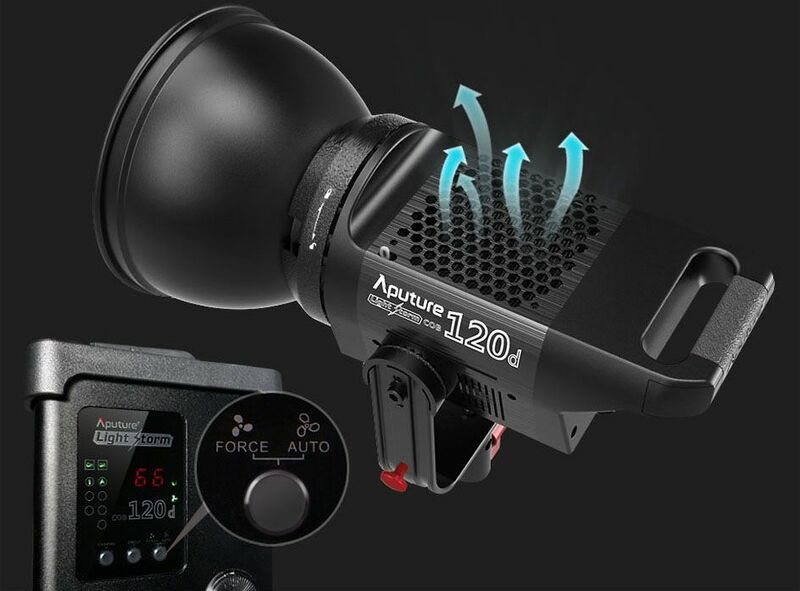 With these two powerful variations of the same great light, the Aputure Light Storm is more versatile than ever. 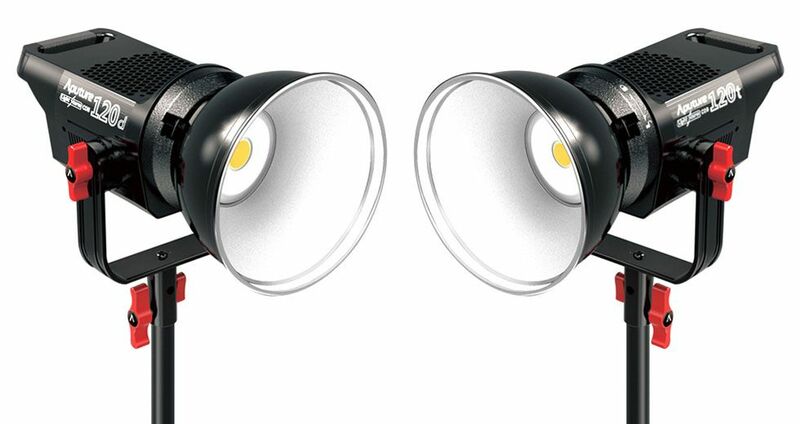 The COB120 features a CRI of 97+. For an even more precise measurement, its TLCI is also rated at 97+ as well. 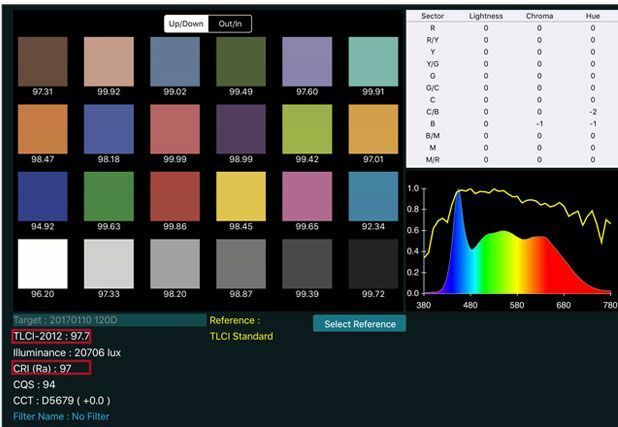 TLCI, Television Lighting Consistency Index, is the most professional measurement of color fidelity. It reveals how well a light source renders colors for film or photography context. The COB120 has a remarkably intelligent temperature control system. The fans rotation will be varied based on its measurement of the corresponding ambient temperature. Furthermore, the fans will go to maximum rotation speed when you press the Auto/Force button. This complex fan system is perfect for improving both your fixture's dissipation efficiency and its light lifespan in complex shooting environments. 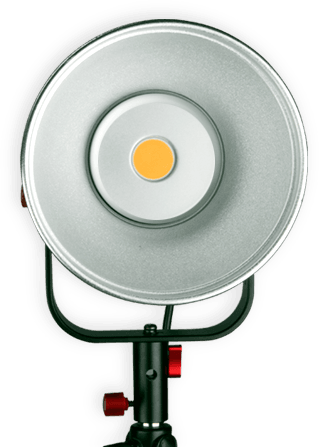 Most lights utilizing a fan system are too loud and not suitable for film or video production. However the COB120 with its built-in electric fan produces only 18dB noise. That means you will virtually never hear the noise, even if your led is being used at maximum brightness output over long periods of time. 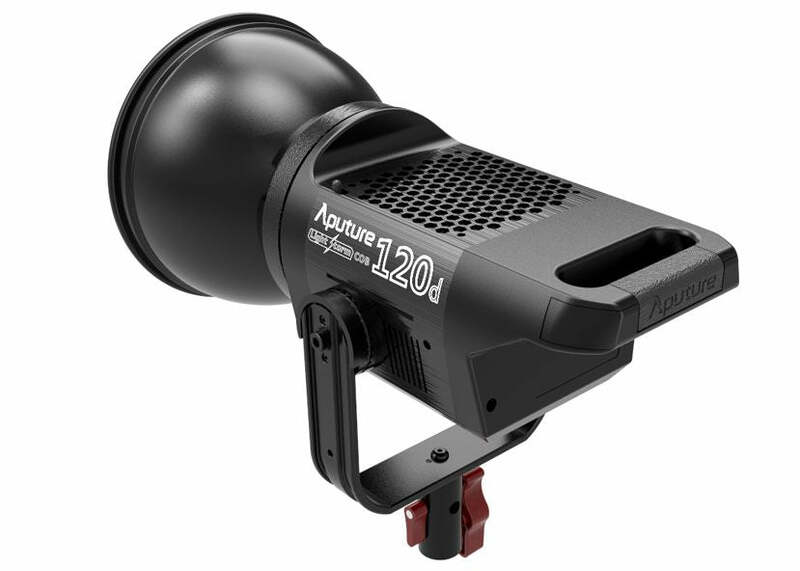 The COB120 uses the popular industry Bowen-S mount, which is incredibly flexible for mounting any accessory. 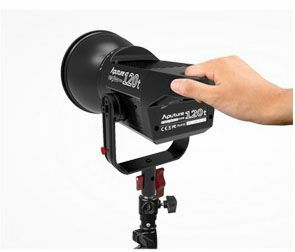 Through its compatibility with both third-party accessories and Aputure's light-shaping tools such as the Aputure Light Dome Parabolic Soft Box, Light Umbrella and Fresnel Mount, the COB120's versatility allows it to achieve any desired lighting effect. These are two characteristics that many photographers and filmmakers can appreciate in equipment that gets often used. The COB120 has a weight of 1.6kg, which is less the weight of a 13-inch Macbook Pro. The COB120 has a unique design that separates the light from its controls. This allows people to control illumination on the COB120's controller box no matter where it is mounted and greatly reduces the traditionally top-heavy weight of mounted fixtures. 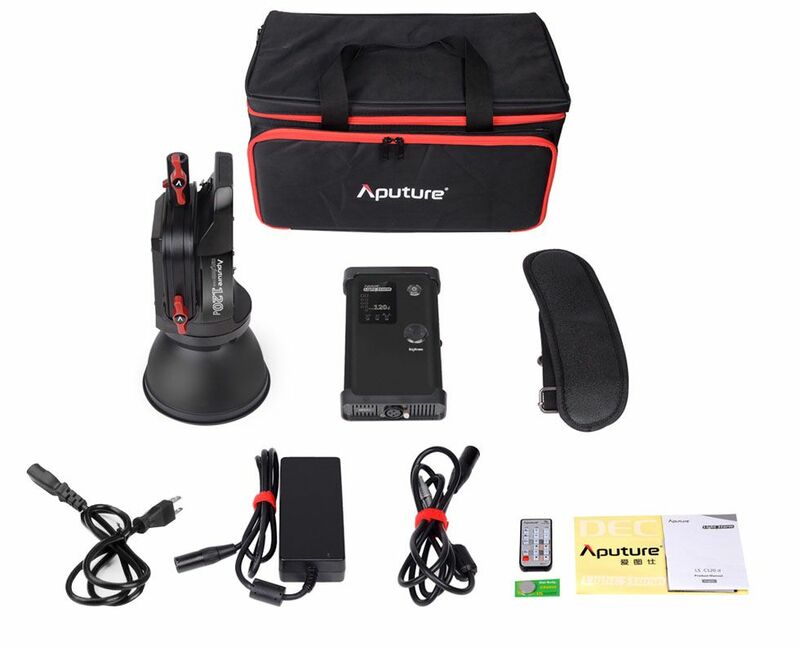 Note: The controller box of the LS 120t and LS 120d are not interchangeable. 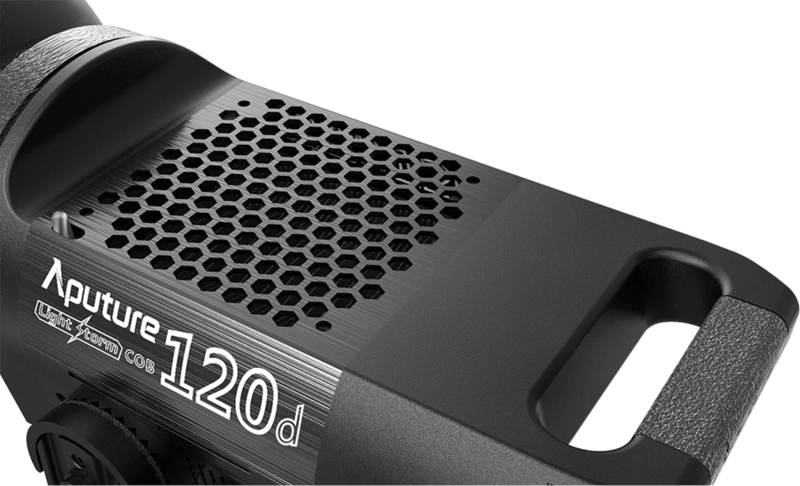 Featuring an aircraft grade-aluminum body, the LS C120 is remarkably tough and durable. It undertakes more than 100 fabrication procedures such as extrusion, cutting, trim, sandblasting, oxidation and laser engraving. The delicate design and elaborate production makes the COB120 both sleek in design and robust. 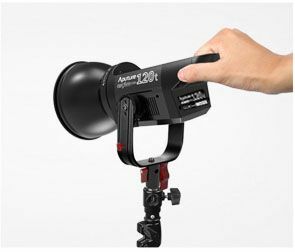 The COB120 is able to meet any of your various shooting requirements by offering power in two of the most popular professional battery mounts: batteries of either the SONY V mount or Anton Bauer mount can be used depending on which model you choose. 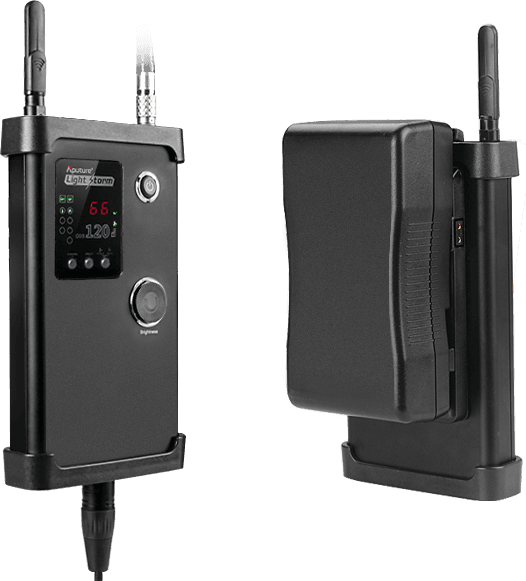 Using 2.4G FSK technologies, the COB120 can be adjusted in brightness wirelessly using a remote, even 100m away. 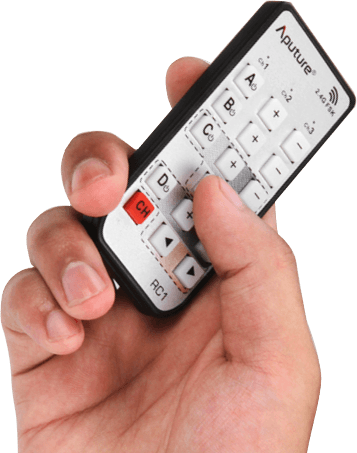 The COB120 includes the practical engineering principle of including a built-in handle grip. This simple, yet effective design makes it easier to transport and adjust your light's direction. 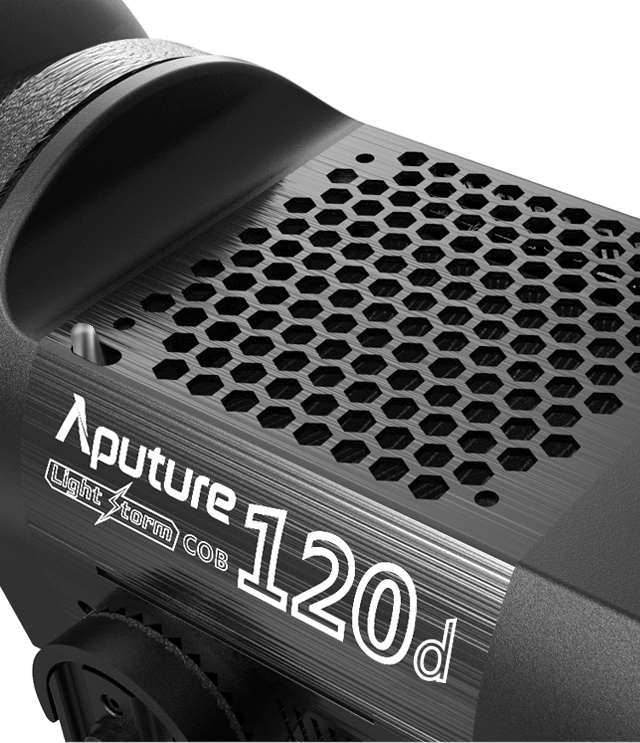 Choose the Kit Version of the COB120 to also receive an Aputure-designed soft case, which is fitted perfectly for your light and its safe travel.